Our mission is to provide clean, healthy, locally grown and safe fruit, vegetable, and dairy products to our local community and within the surrounding area. Our animals are raised humanely in an environmentally sound manner. We strive to educate consumers about the health benefits of grass-fed milk products. We hope to be a model for other farmers that are looking for a way to be more profitable and sustainable. 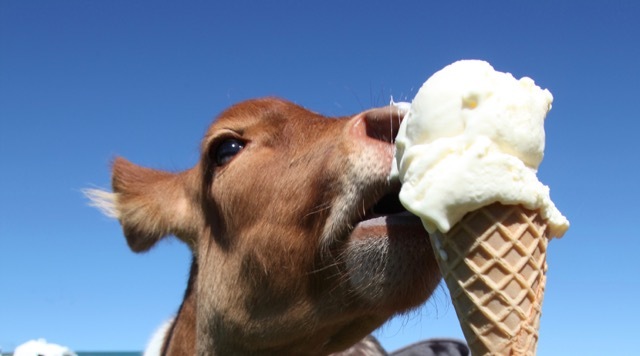 We are Montgomery County's only "Cow to Cone" ice cream shop and dairy. Our Guernsey cows eat grass year round and are milked by a robot on their schedule. We pasteurize the milk and make our ice cream mix at our dairy, then bring it down the hill to sell in our farm market. Nothing extra added in, the milk isn't even homogenized or seperated, so we only sell creamline milk and creamline chocolate milk. Our farm market is open year round providing the highest quality fruits and vegetables that are grown right on our farm, as well as hand scooping our own delicious ice cream. The entire farm, including the market, is powered by our solar array. Rock Hill Orchard has been known for forty years for the quality of our peaches and apples. Peaches are available for you to pick from early July through August. 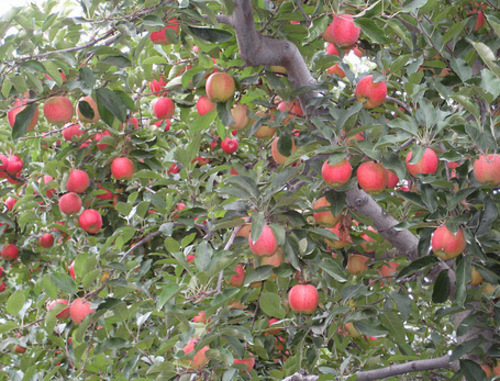 Pick-your-own apples follow starting in late August and continuing through early November. Our farm is open year-round whenever the farm market is open. We have free dairy tours the first Saturday of each month. We also have field trips and school tours.